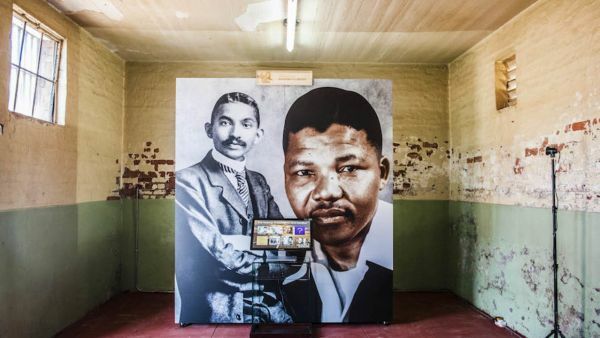 The permanent Mandela Gandhi digital exhibition consists of four spaces featuring images of former South African president Nelson Mandela and Indian pacifist freedom activist Mahatma Gandhi throughout their lives. 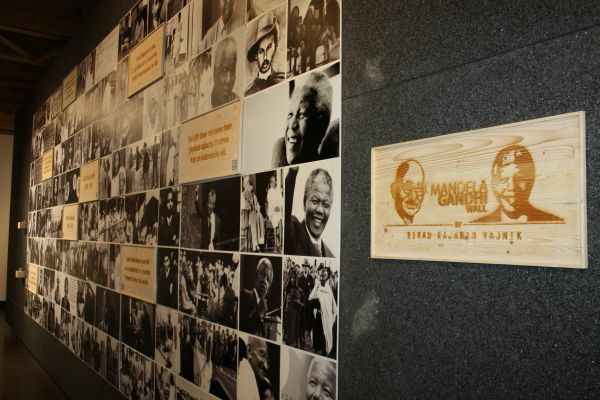 Two areas feature interactive television sets showing interviews with these great men. 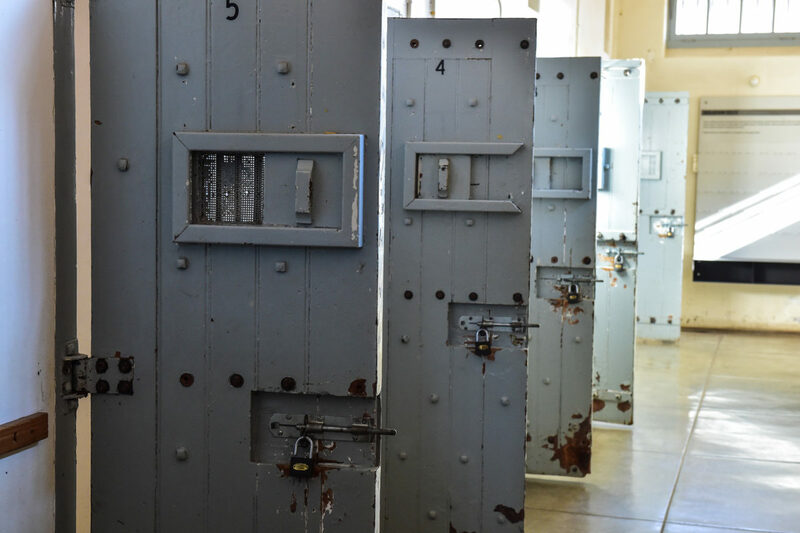 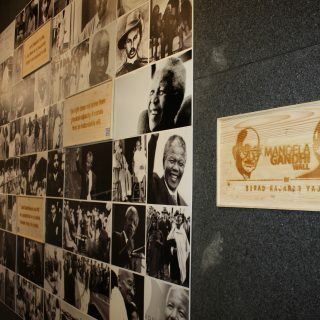 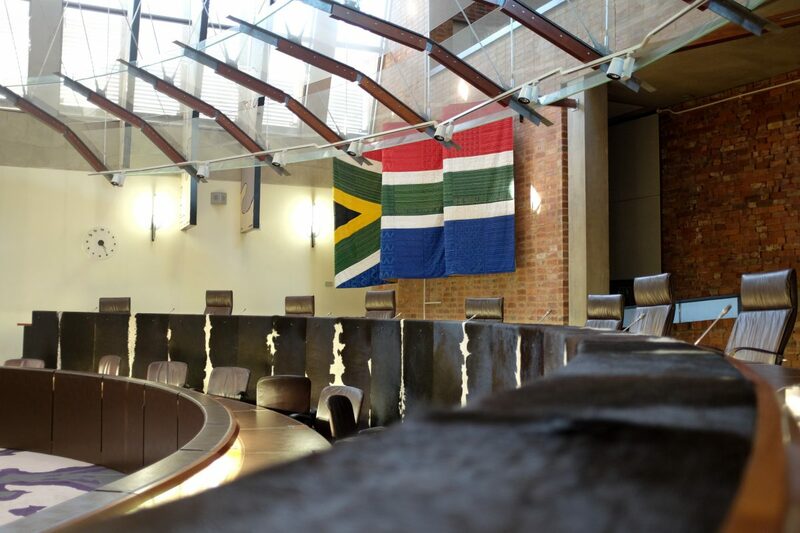 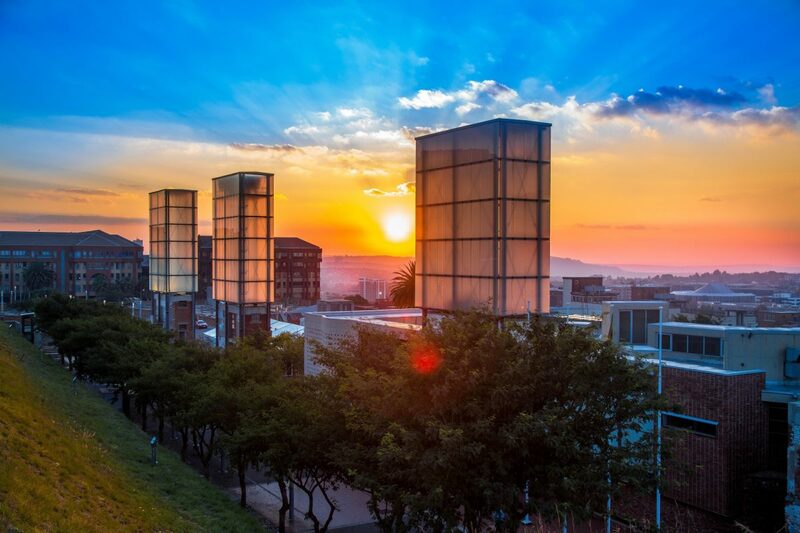 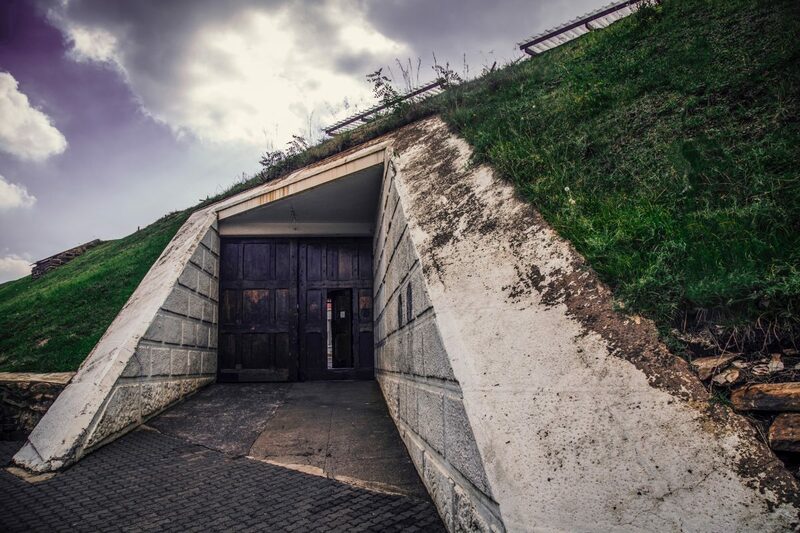 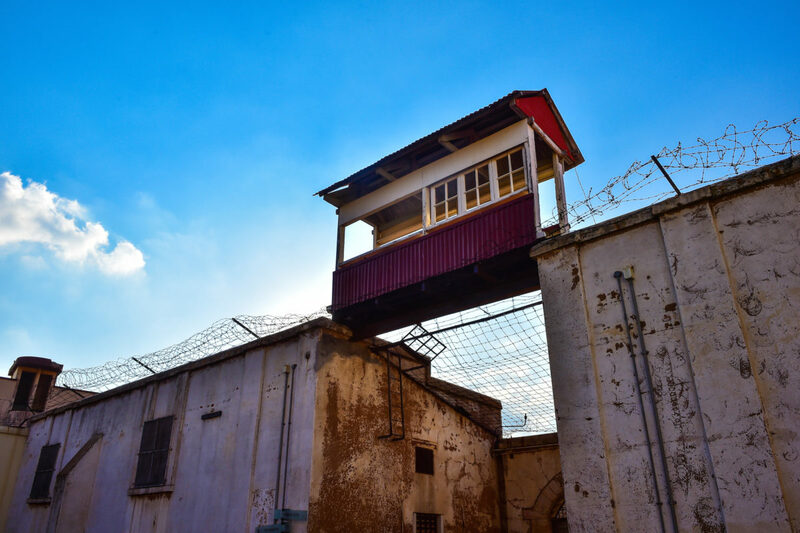 The Constitution Hill exhibition complements another installation, the Mandela Gandhi wall launched on 24 July 2016 at the Nelson Mandela Foundation in Johannesburg. 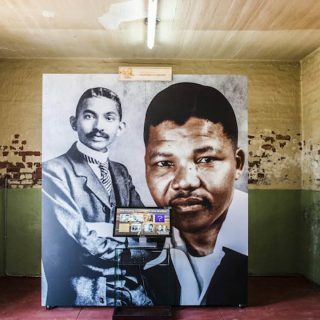 The wall features a collection of photographs of Gandhi and Mandela throughout their years. 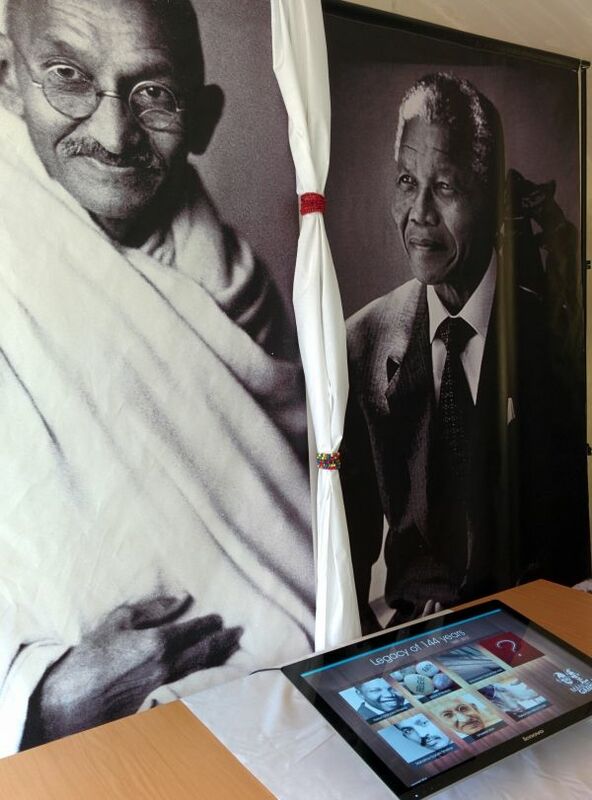 It also has a digital interactive video and audio feature for smartphones. 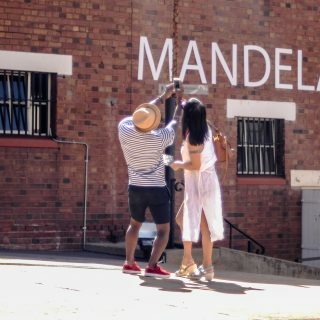 The wall commemorates and celebrates the enduring connection that existed between the two leaders. 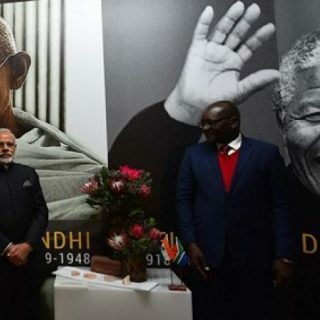 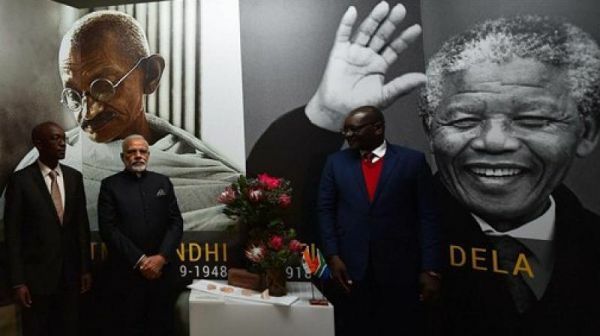 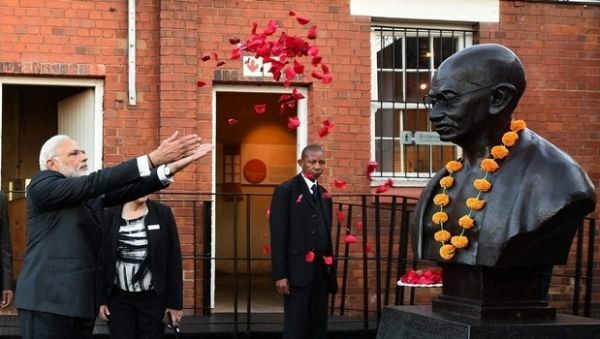 “They may not have met, but they are connected through ideas, through the essential message that reverberates through lives,” Virendra Gupta, High Commissioner of India in South Africa, said in an interview with CNBC Africa. 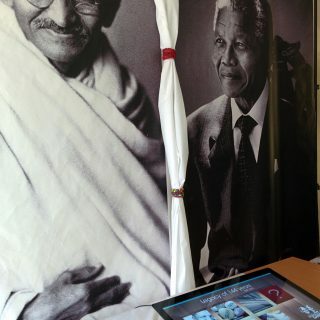 The interactive multimedia display features photographs, quick recognition codes that can be read by smartphones, which then play web-based videos, and a game visitors can play by answering questions on the back of cards and then matching the photos on the cards with the ones on the wall. 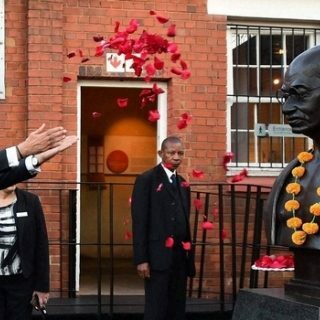 Gandhi’s granddaughter, Ela Gandhi, who was present at the launch of the wall, explained that the exhibition’s digital element, in particular, would be instrumental in attracting young people to not only the exhibition, but also to learning more about Gandhi and Mandela.